The Spey Catchment Initiative was set up in 2010 to help protect, enhance and understand the whole river Spey Catchment, from its source in the Monadliath mountains to its mouth at Spey Bay. Understanding how the river works on this massive scale helps us work together and plan for conservation. The initiative is using a broad range of practical management and educational tools to achieve this. The initiative has worked on a catchment wide riparian audit and has delivered a range of riparian enhancement and natural flood management projects. It is using these sites to educate and raise awareness of good practice and to engage with the land management community in holistic approaches to catchment management and development. The initiative is also undertaking a catchment wide study of natural river processes to better understand how the whole river system works. This restoration project aims to restore the morphology and habitats of a section of the Allt Lorgy, a moderately high energy tributary of the River Dulnain in the Spey catchment. The Allt a’Mharcaidh, a tributary of the River Feshie, flows through the Invereshie and Inshraichhttp://www.speyfisheryboard.com/wp-content/uploads/2014/12/TGLP-SCI-PR-article-dec-14.pdf National Nature Reserve (NNR), close to the village of Kincraig in central Highlands of Scotland. 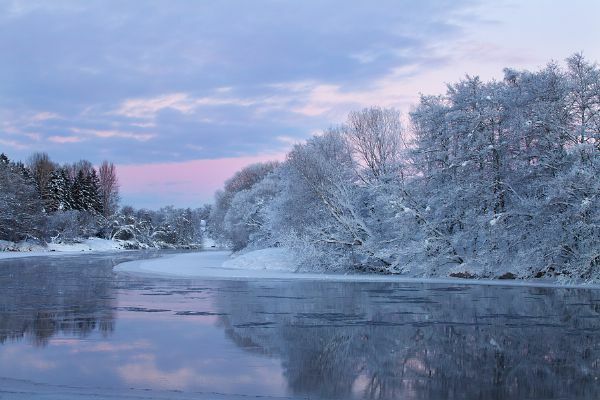 In 2011 Aviemore & Vicinity Community Council (AVCC) secured a grant from the Big Lottery to develop plans for a riverside park on the banks of the River Spey. The Achnahannet burn has suffered from diffuse pollution and sediment deposition through bank erosion caused by livestock having access to the water and so affecting the quality of the water and in stream habitat. In November 2014, it was confirmed that over £2.5million of Heritage Lottery Funding has been earmarked for the TGLP through its Landscape Partnership program. Follow our latest 'Thinking Big' projects.